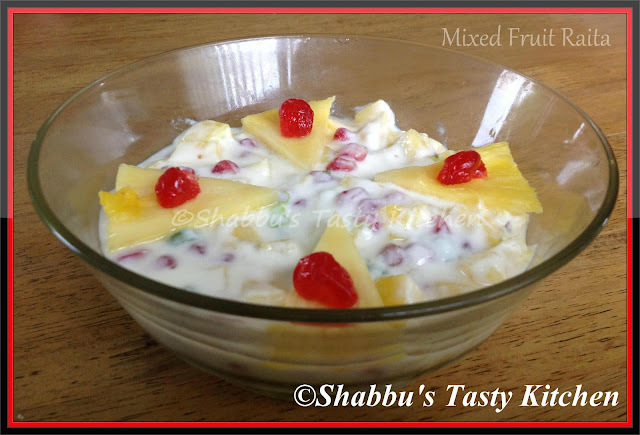 In a bowl, add chopped pineapple, pomegranate seeds and mango pieces. Add green chillies, coriander leaves and salt and mix well. Add yoghurt to this and stir well. Colourful as well as excellent presentation. Mixed fruits raita looks simply catchy and colourful.